I was lucky enough to chat to author Maria Lewis about all things witchy and her new novel The Witch Who Courted Death. How’s the book launch going? A different city every few days must be exhausting. How do you keep your energy levels up? Well, I’ve just got back from New York for a holiday and had a very short amount of time before throwing myself straight into it! The Who’s Afraid? book tour was in the UK only, so it’s actually fantastic to be doing my first Australian book launch and being out there meeting everyone and those fans who have followed me since Who’s Afraid?. The Witch Who Courted Death, I have to say, I thoroughly enjoyed being back in Berlin and having a drink in Phases. It felt like you enjoyed being back there too! Yes, I loved it. The Witch Who Courted Death is slightly different to Who’s Afraid? as it has a stronger focus on world building which was a very different writing and creative process. Although a stand-alone novel, The Witch Who Courted death has some carefully sprinkled easter eggs for fans of Tommy Grayson too. What floored me was the sheer amount of research and supernatural knowledge which has been poured into this book. There is even a glossary at the back which I did refer to a couple of times. Did you ever worry you would head down the rabbit hole into the Supernatural? I’m glad you mentioned that. I’m so proud of the glossary! I feel I earnt it and really feel it earned its place in the book. I’ve pitched The Witch Who Courted Death since 2014 and it is a very different book from Who’s Afraid? Tommy Grayson was just discovering she was a werewolf and learning her powers, whereas Casper has had her powers all her life and knows herself. Caspers world has a lot of different beings and what comes with that is also a complex supernatural hierarchy and sets of powers and behaviours which determined the need for a glossary. Those Arachne really unsettled me and as a reader had a distinct ‘human centipede element.’ Why did you do this to me?! HA! Well, thanks for that, I wanted to recreate the version of Arachne which was similar to that depicted in Gustave Dore’s etchings. The way the limbs move and the Arachne scuttle was important, and I spent time exploring how they would look and move. The versions in The Witch Who Courted Death are an abomination, and I’m glad I managed to convey that horror to you, Duffy! Gustave Dore’s Arachne – No sleep awaits! When choosing Casper as a character, how did you decide where to place her on the ‘Witchy’ scale? What’s really interesting is that if you look at witches in popular culture, the one commonality is that each one is different. You have the bad gnarly witches and the good witches and even Sabrina The Teenage witch which has had a reboot. Ghosts have similar traits, and werewolves all follow the same moon phases, but witches are hard to pin down. I chose Opal to represent the history, persecution and malice aimed towards thousands of women during the witch trials. There didn’t even need to be anything more than village gossip to send hundreds of women to their deaths and so with The Witch Who Courted Death I wanted to tell a tale of survival. That witches chose to go underground, remaining secretive and blended into everyday life to, therefore, be unseen and hard to identify. Shrinking themselves rather than drawing attention. I loved the sibling/twin bond between Casper and Baristan. Was that a deliberate choice to keep the balance between worlds? Urban fantasy tends to be grounded on earth, and Garth Nix is a great example of the genre, but yes I wanted to find a way to keep the balance between two worlds. The ‘lobby’ is the gateway where the siblings meet and the threshold between real and supernatural and by adjusting the version to bring in the twin element brought with it a deeper connection. I did notice that you dropped Suspiria into The Witch Who Courted Death. Is that your favourite witch movie and what are your thoughts on the 2018 remake? It’s a rare occurrence, but I actually loved the remake more! It’s a rare, visual and beautifully shot movie. Smart, with a more solid build in the story and Tilda Swinton plays two characters, one of them an 84-year-old man! There is some gore though, and coming from someone who watches a lot of horror, some parts were even a bit tough for me. Thanks, Maria! The Witch Who Courted Death was a great read and I appreciate you have a fully packed schedule. I wish you all the best on the next stop of your book tour! If you’re a fan of urban fantasy and are looking for a new spin on the genre with smart women at its core, you get yourself a copy of The Witch Who Courted Death. I thoroughly enjoyed Who’s Afraid? and The Witch Who Courted Death exceeded my expectations! The Witch Who Courted Death by Maria Lewis is published by Hachette Australia. $29.99. Out now. 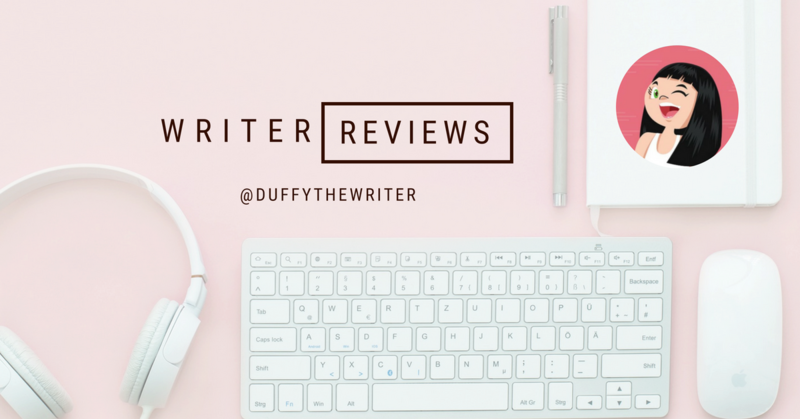 « I Finally Created Duffy’s Book Review Policy For Authors!